These last two months (including end of December) my practice has been messy. I was moving backward, maybe my expectations were too high. I lost my jump back from Kakasana to Chaturanga, then suddenly I lost all kind of backbends, even a "simple" Urdhva Mukha Svanasana was painful, my upper back did not want to open, my lower back was squeezing and compressing. I did not want to do any drop back and after winning Pasasana I lost it. Was slightly down though. The practice was not enjoyable anymore, I was in pain all day long, left shoulder was painful like hell and my wound from my left hamstrings stop allowing me to do any forward fold correctly. As well my mind was playing with me, a lot of anger came out without any warning. I started to be angry at everything that happened in my life, hating myself, hating my body and felt prisoner of it. As my Ashtanga practice was not satisfying me anymore but really frustrating me I then add another practice in the afternoon and came back to my first love which was Pilates. Also instead of practicing 25 minutes of pranayama I decided to practice it twice a day for a total of one hour. 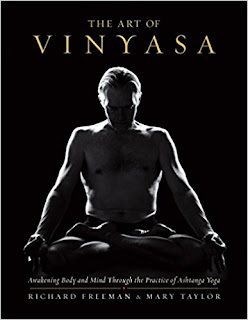 I am following the blog of Anthony Hall (honestly speaking I am addicted to it) and found on Youtube one video where he is doing the Vinyasa Krama sequence from Simon Borg. I started considering it very seriously, therefore I added it the sequence as well into my evening practice. Slowly (very slowly) I started noticing change in my body and during the morning practice. 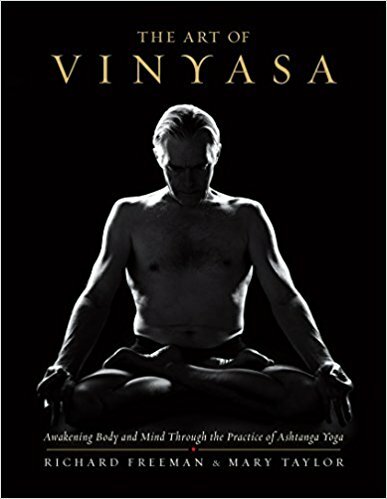 Steve Hyland lent me the book of Richard Freeman "The Art of Vinyasa - Awakening Body and Mind through the Practice of Ashtanga Yoga". In one part of the book Richard Freeman ask the question "Who am I?" and his answer to it was: "Everything". My point is WE ARE NOT ALONE on the Ashtanga Yoga Path. And that is very important to understand that concept. Each dedicated practitioner at one point of his/her Life will be facing his/her own demons which most of the time come from the Past. There is this sentence that in some way is bothering me "One guru, one Student". I don't think so. Personally I think it is very important to open our mind and to be able to meet, learn, speak, talk with all dedicated Ashtangis that have been paving that road for us. Without their experience, their knowledge we won't be able to move forward. Our personal life and personal feelings are printed into our body and as practitioner we are not the only one struggling by following that path. Today my practice was awesome. I don't have anymore burden on my shoulders and as a result I did the most beautiful drop-back I ever done. Still I lost Pasasana and jump back from Kakasana but from a general point of view my all practice has drastically changed and evolved in many ways. Thank you to Steve Hyland, Anthony Hall, Richard Freeman and Simon Borg. By sharing your experiences you helped me into my practice. Next stop is Bali, Ubud where I will be practicing with Iain Grysak. No need to mention again and again how much I love to practice under his guidance. From now and then I am planning my calendar in accordance with his schedule and hopefully I will be able to practice with him in 2019.